The way of the mystic is a path to divine union that requires no temple, no money, no guru, no priest, no system. By following it you can reveal your own sacred purpose on Earth, regardless of faith, age, sexual orientation, or gender. 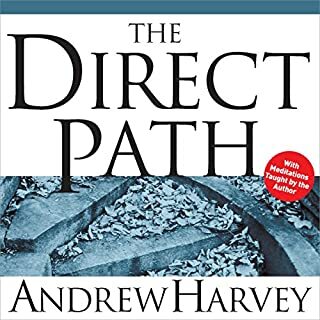 In The Direct Path, Andrew Harvey confronts 2,000 years of distortion about the mystical life and challenges you to begin your own personal transformation via the direct path. Andrew is my direct path! 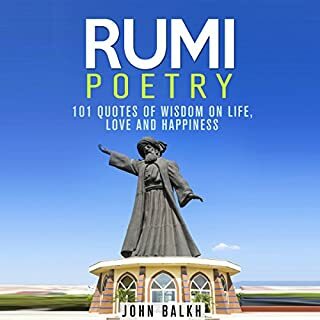 The Way of Passion draws on the poems of Jalalud-Din Rumi (1207 - 1273) to present a guide to the timeless truth and beauty of Rumi's words. Each chapter, Harvey tells us, is "a dance, a dance of mirrors, in which essential spiritual themes return to be reflected in different constellations and harmonies, a dance around Rumi and that mystery of love he lived and expressed so completely". Twenty centuries have passed since Jesus first spoke of a glorious "kingdom" at hand. And yet for theologians as well as everyday seekers, the question remains: What can we do to realize the full promise of Christianity for ourselves and for our world? 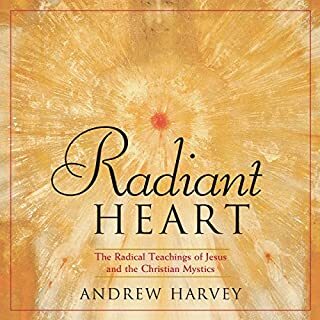 The answer, teaches Andrew Harvey, lies with the Christian mystics who used the life of Jesus as a spiritual template to become "like a sun, the source of abundant life, whose waves incessantly wash, infuse, and purify the cosmos". In this comprehensive and groundbreaking work, mystical scholar Andrew Harvey unearths traces of the sacred feminine in major world religions - Hinduism, Islam (Sufism), Buddhism, Taoism, and Christianity - and in aboriginal and indigenous wisdom traditions. Harvey takes a strong stand against our dependence on "gurus" and "masters", proposing instead an egalitarian model of spiritual community based on intimate groups of mutually supportive guides and friends. Reynold A. Nicholson has done us all in the English speaking world a wonderful service by translating from the original Persian much of Rumi's writings. The following excerpted poems provide a glimpse into the heart and mind of the one world's greatest mystic poets. It is my hope that a new cadre of listeners will be moved and touched by Rumi's poems, which each have a universal import that transcends both religion and cultural boundaries. Who was Rumi, and how does he continue to speak to us today? On Song of the Sun, Andrew Harvey, the Oxford-trained authority on Rumi and author of several modern spiritual classics, takes us inside the extraordinary life and teachings of this prophet and poet. Harvey sifts through the many legends and tales associated with Rumi's life to reveal a rich and inspiring portrait of what a human being in love with and empowered by God can become. He mines the thousands of odes and quatrains composed by Rumi, and shares the most sumptuous and ecstatic works, all with clear relevance to our spiritual lives today. At a time when we are hungry for a divine vision of our world as it can be - and should be - Song of the Sun is an invitation to Rumi's most sacred and glorious feast. "Love is both the supreme mystery and greatest power in the universe," reflect Andrew Harvey and Marianne Williamson. And it is our purpose to discover it, embrace it, embody it, and to put it into sacred action. When we shed the layers that separate us from our divine nature, we meet love. But how do we begin that process? With Love's Manifesto, Williamson and Harvey join forces to explore the nature of universal love, to help us discover it within ourselves and encourage it in others. A 2009 Nautilus Gold Award Winner, Pure Water is Coleman Barks’ inspired live performance of the poetry of Jellaludin Rumi (1207-1273) - with Sufi stories and jokes, accompanied with music by Bach, O’Carolan, Friesen and others. The performance captured in this recording recalls the essence of the communal celebrations of poetry, stories, jokes, prayer, and music in which Rumi’s work was first uttered, but presents it in a distinctive contemporary setting. Coleman’s words combine with the cello of Grammy Award-winner Eugene Friesen. Although there is now a plethora of books by and about Rumi, I thought it might be instructive to republish a small portion of Edward Henry Whinfield's English translation of Rumi's Persian masterpiece. I think it is vitally important in today's social climate to focus on those aspects of Islam which elevate humankind and I can think of no better place to start than with the Sufi mystics of Islam, of which Rumi is the most famous (and perhaps finest) example. This is an abridged edition of a classic text on Rumi and Sufism which was first published in London in 1920 under the title The Persian Mystics and authored by F. Hadland Davis. This special edition contains selections from the poetry of Rumi. Also included is an analysis of Sufism and the concept of love. Edited by Professor David Christopher Lane, PhD. To fully experience the ecstatic poetry of the Middle and Near East, you must hear it as originally intended: stirred ablaze by inspired music and rhythms before a live audience. In I Want Burning, Coleman Barks fuses his passionate scholarship with a deep feeling for the poetry of Rumi, Hafiz (a 14th-century Sufi mystic, called "one of the jewels in the necklace of Persian poetry"), and Lalla (an exquisite Kashmiri female poet of the 14th century). I love Rumi and Coleman Barks interpretation. 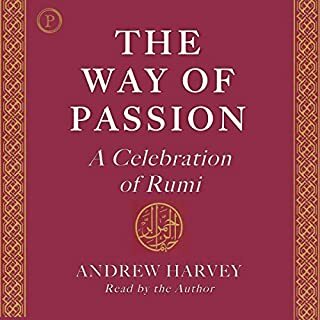 There is probably no one more qualified to illuminate the life and work of Jalaluddin Rumi, the great 13th-century Sufi mystic and poet, than Andrew Harvey, who possesses the very eloquence and passion he admires in Rumi's work. Harvey likens Rumi to Buddha, Ramakrishna, Shakespeare and Jesus Christ: "For me, I've come to understand the heart of Christ through the heart of Rumi; they seem to me to be linked in the enterprise of bringing all human beings into the fire of the sacred heart". Discover the fire, the madness, the passion and the mystery that is Rumi, revived by a man born to translate his "absolutely lucid but totally molten speech of the Divine heart itself". Harvey was raised in India and educated at Oxford. 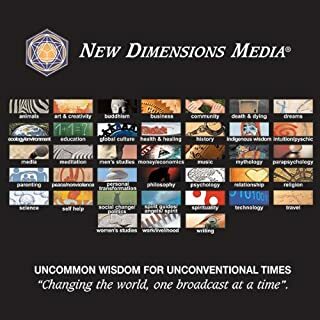 He is a renowned mystical scholar, Rumi translator and explicator, poet, novelist, spiritual teacher and writer, and architect of Sacred Activism. He is the author of many books including Light Upon Light: Inspirations from Rumi (Meeramma 1988), Hidden Journey: A Spiritual Awakening (Henry Holt 1991), The Way of Passion: A Celebration of Rumi (North Atlantic 1994), The Direct Path (Broadway Books 2000), and Son of Man: The Mystical Path to Christ (Tarcher/Putnam 1998). Firstly, Michael Toms is an excellent host! But I find his guest author and gay advocate Andrew Harvey's assertion that Rumi was (like himself) a homosexual and that he and his guru Shams-i-Tabrizi were somehow secretly involved in a homosexual relationship as being absurd and self serving at best. In actuality ones sexuality is irrelevant and has much more to do with the translator's perspective then Rumi's message. Lots of energy, passion and flare. Andrew's love for Rumi really pulls you in. Worth it.